The textile and clothing industry ended the year 2018 on a mixed note in both exports and the domestic markets, while expecting a revival in 2019. “The year 2018 has been better than 2017, but not so good,” said Sanjay K Jain, Chairman, Confederation of Indian Textile Industry. International demand was largely muted because of the threat of US-China trade war and uncertainties. The domestic market did not pick up as expected. After almost four years of exports stagnating at about Rs. 37 bn, textile and clothing sector is looking forward to growth this financial year. Exports between April and November this fiscal grew 7 per cent in rupee terms compared with the year-earlier period though the growth was almost nil in dollar terms. “This financial year, maybe, we will cross it marginally. But, we need a push,” he said. India’s share in the global textile and clothing trade remains at 4 per cent – 5 per cent. It is all a matter of competitiveness. India’s competitiveness should improve, he added. 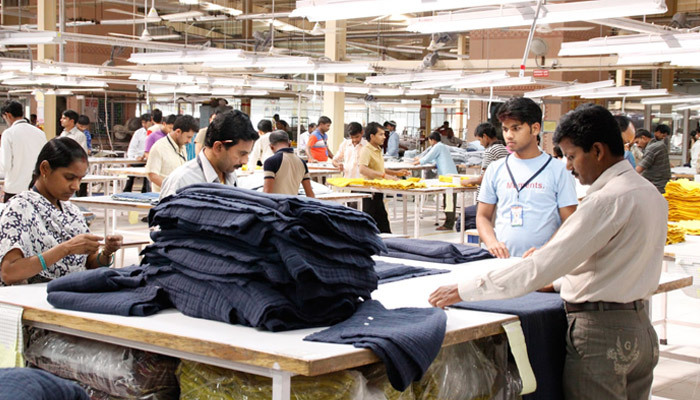 Apparel exports so far this financial year is down 12 per cent. Annual apparel exports from India is nearly Rs. 17 bn, said A. Sakthivel, Vice-Chairman, Apparel Export Promotion Council. It is Rs. 34 bn from Bangladesh, Rs. 21 bn from Vietnam, and Rs. 11 bn from Cambodia. “These countries have duty-free access to many markets. “We (apparel) are not able to give competitive prices in the international market. We have a price disadvantage. We are yet to come out of the GST effect. The rupee value fluctuation is also high. The government should consider increasing the ROSL (Rebate of State Levies) rate,” he says. 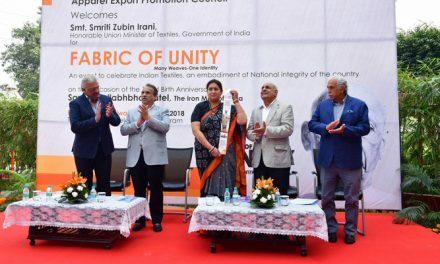 The overall growth could be about 5 per cent for the year ending March 2019, said Siddhartha Rajagopal, executive director, Cotton Textiles Export Promotion Council. Cotton textile exports are expected to be up 8 per cent to 10 per cent. Usually, shipments during January-March are high. Export demand was good in patches this year. Indications are that international demand will pick up next year and this will have a positive impact on exports, he said. What is a matter of concern is increasing imports. Import of yarn, fabric and made-ups rose 13 per cent in April-November this year, compared with the same period last year, Jain added. Imports are mainly in the man-made fibre segment and these come from countries such as China, Indonesia, and Korea. Production of textiles and apparel in the country rose between April and October this year as against the same period last year according to IIP data. There was negative growth in 2017 because of GST and demonetisation. The domestic demand picked up in the first six months in 2018 but slowed down after that, Jain added.